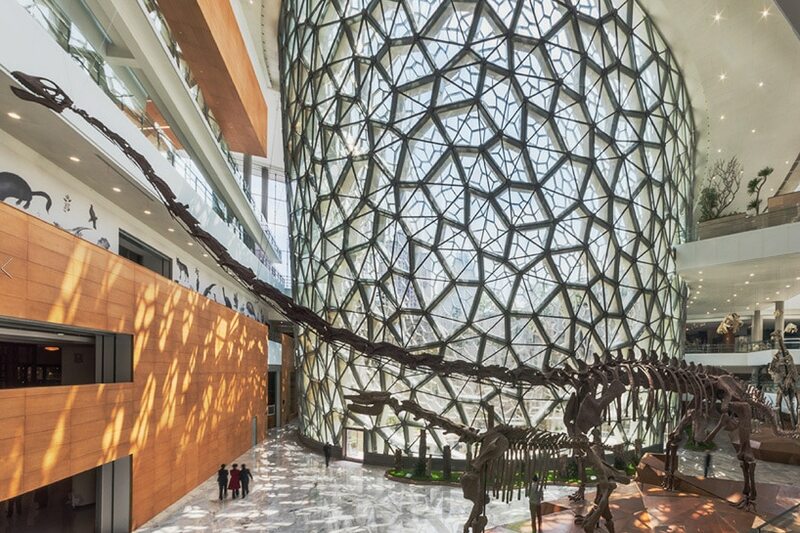 global architecture and design firm perkins + will has completed shanghai’s natural history museum in china. 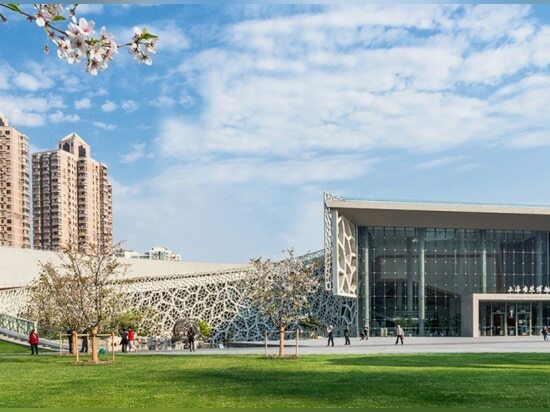 the 44,517 square meter museum offers visitors the opportunity to explore the natural world through the display of more than 10,000 artifacts from all seven continents. 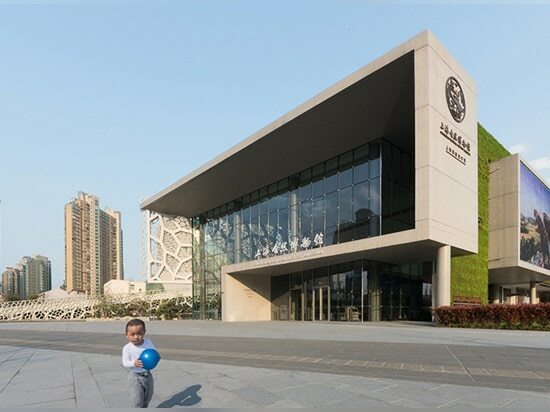 the building includes exhibit spaces, a 4D theater, and an outdoor exhibit garden. 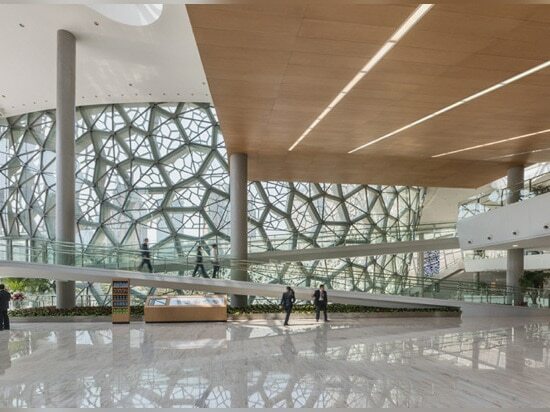 located on an urban site, the shape and internal organization of the building references the pure natural form of a mollusc shell. 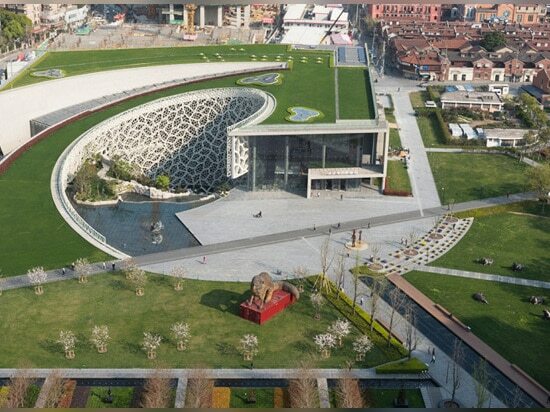 a grass-covered plane rises out of the park and wraps around an oval pond – the focus of the exhibition route through the building – which begins at the upper level and spirals downwards. 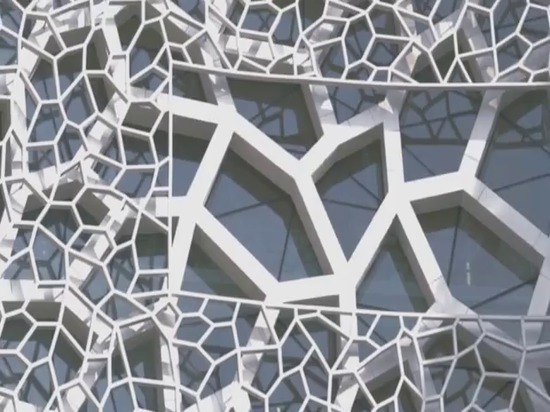 the structural network and sunscreen that lines the curved inner face of the building is both an abstraction of patterns found in traditional pavilions, and a suggestion of human cell organization. 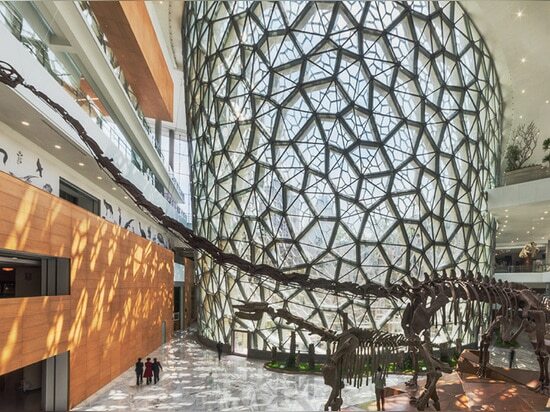 the north wall, which is the group-entry façade along the bus drop-off, references the movement of tectonic plates, while the south wall is a living wall plane composed of a metal trellis covered with vines. 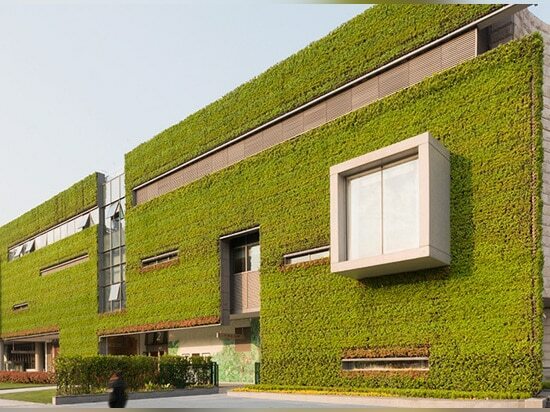 the green wall brings the horizontal plane of the park onto the vertical surface of the structure forming an arcade that represents the vegetation of the earth’s surface.